Though a scant few months ago people were hiding under their beds certain President Donald Trump was preparing for war in Asia, criticism of the announcement Trump will meet with North Korean leader Kim Jong Un has been quick. Those criticisms are easily dispelled. One criticism is Trump will “legitimize” North Korea. North Korea is an acknowledged nation state. Its neighbors recognize and interact with its government. The United States has negotiated with Pyongyang over some seven decades, from talks at the Demilitarized Zone, to meetings among diplomats in third countries and at the United Nations, to a visit to Pyongyang by the Secretary of State, to quasi-diplomatic visits by then-former presidents Clinton and Carter. Meanwhile, the Kim family, with successions from grandfather to father to son, has ruled the nation from its founding, surviving war, sanctions, famine, natural disasters, and the fall of their patron the Soviet Union. Kim is worshiped by his own people as a god, while outsiders have long-formed their opinions about him; he has no need for a propaganda coup. America has negotiated with, and even supported, evil dictators before. North Korea is already a nuclear power, whether anyone likes that or not. The criteria for “legitimacy” appears long met with or without Trump. The State Department is gutted, say some. The United States has no ambassador to South Korea. The Special Representative for North Korea Policy just retired. It is disingenuous to claim there is no one left to negotiate with Pyongyang simply because their names are unfamiliar to journalists. The current Chargé d’Affaires at the American Embassy in Seoul (“acting ambassador”) is Marc Knapper. His resume shows decades of Korea experience, including as Deputy Chief of Mission in Seoul. He has been to North Korea multiple times, speaks Korean, and is accepted by South Korea as a trusted entity. His Minister-Counselor for Political Affairs, Edwin Sagurton, has spent years on the peninsula including work in the North, and speaks Korean. A third senior American official, Busan consul general Dae Kim, has worked on Korean issues for some 20 years, has a degree in psychology, is fluent in Korean, and served alongside Madeleine Albright during her visit to Pyongyang. In Washington, Joe Yun, the retired Special Representative for North Korea Policy, is a loss, but acting in his capacity is Mark Lambert, his deputy. Lambert has significant Korea knowledge, including having negotiated with the North as Special Envoy for the Six-Party Talks. There are similar decades of Korean expertise at the National Security Council, the Central Intelligence Agency, in the military, as well as among South Korean diplomats, to support Trump’s efforts. Preparation? These men and women have spent their whole careers preparing. It is wrong to start with a summit; Trump already gave away the big prize. This argument was old and worn when used to criticize Richard Nixon for his”opening” of China visit in 1972. In the case of North Korea, the idea of holding lower level talks leading up to a triumphant meeting between Trump and Kim is a non-starter. It is Kim who sets the direction for North Korea’s foreign relations, and it is important for him to signal this process move forward with his full approval. It is unlikely North Korea’s lower-level functionaries would be allowed to claim small victories on Kim’s behalf without his ceremonial leadership clearly demonstrated. Previous presidents have held off a summit pending progress, the result being over successive administrations no real progress occurred. North Korea is a top-down system (some say the same for Trump’s Washington), and needs to be dealt with as such. The other reason to begin with a summit is there is little of the connective tissue of diplomacy existing between Washington and North Korea, the important mid-level contacts and relationships which ensure the kind of details in peaceful times wedding planners sweat over can get done in the shadow of nuclear arms. Both sides also can also use the push of a summit to press their next level diplomats, including Secretary of State Rex Tillerson, whose status is often questioned, onstage with the empowerment of their leaders. A final criticism is the North Koreans aren’t serious. This is all a stunt. The North signaled clearly its seriousness to negotiate by sending both Kim’s sister to the Olympics, the first time an immediate Kim family member set foot in the South (Kim’s personal approval), and by sending alongside her the 90-year-old Kim Yong Nam (showing approval by Kim’s inner circle.) Kim Yong Nam has served all three North Korean rulers, was formerly minister of foreign affairs, and as a veteran of the 1950 war, has unimpeachable credibility with the military. The United States has over the years carefully kept him off any sanctions list, ostensibly because he is not directly involved in nuclear development, meaning he is free to travel to Washington. He will be a key player going forward. Most of the other criticisms are the same hollow ad hominen arguments – Trump’s volatile, unprepared, unskilled – that led pundits to wrongly declare war with Korea imminent since election day. So what happens next? One State Department officer with extensive experience negotiating with the North characterized them as skittish cats; things seem to be going well when something our side didn’t even hear sends them hiding under the sofa. It takes time, and trust, to lure them back out. Also, Kim Jong Un, as perhaps does Trump, will need to balance conciliatory steps forward with bellicose gestures directed at a limited but important domestic hardline audience. So there will likely be tweets, and set backs. If the two leaders meet, expect simple things to begin, sports and academic exchanges, the return of one or more of the three Americans in jail in North Korea, an invitation to search for Allied remains north of the 38th parallel. Pyongyang may extend its self-imposed moratorium on nuclear testing while Washington agrees to limited changes in scheduled military exercises. Such small-scale wins build trust. That can lead to the kind of Cold War-style negotiations that eventually saw the United States and Soviet Union pull classes of weapons out of service to ratchet down tensions. It is foolish and ahistorical to imagine the Trump-Kim summit itself will lead anywhere near denuclearization itself. The United States should continue to let the South Koreans lead, as they have in bringing Kim’s offer to meet to Washington. The White House was tactically adept in allowing the announcement of Trump’s acceptance to be made by South Korean officials. Ultimate peace will be made by the Koreas; after all, who has more skin in the game than they do? Leaders on both sides include men and women who survived the Korean War. They share a mindset familiar to Holocaust survivors unknown to most Americans today. They retain strong emotional ties to one another based on the Korean sense of wuli, us versus them, with “us” being the Korean people as a whole regardless of where they live. They are facing their own mortality, and aware of their legacies. This is their generation’s now to win or lose. Negotiations are not always an even give and take, and that is not a sign of weakness but of strength and skill. Success on the Korean peninsula, as in the Cold War, will be slow, and measured by the continued absence of war and the continued sense war is increasingly unlikely. Those who criticize Trump’s plans to meet with Kim, and who will pick at the edges of any progress made, should remember diplomacy, the alternative to war, means the messy business of meeting with your adversaries, not ignoring them. Trump now has a Deputy Secretary of State to accompany him in a possible “summit” with North Korea. I bet nobody saw that coming. NK may be crazy but not stupid. Demented’s word is worthless – see Iran nuke treaty plans. John Grant’s ARE WE LIVING UNDER A MILITARY COUP published recently on COUNTERPUNCH suggests a coup might have already taken place – one that has been cleverly masked for decades but if the Donald tries to go “ballistic” with NK we may see an overt coup from “his” generals. But maybe everyone in DC wants a nuclear confrontation with NK, In that case a coup of insanity happened decades ago that is irreversible. 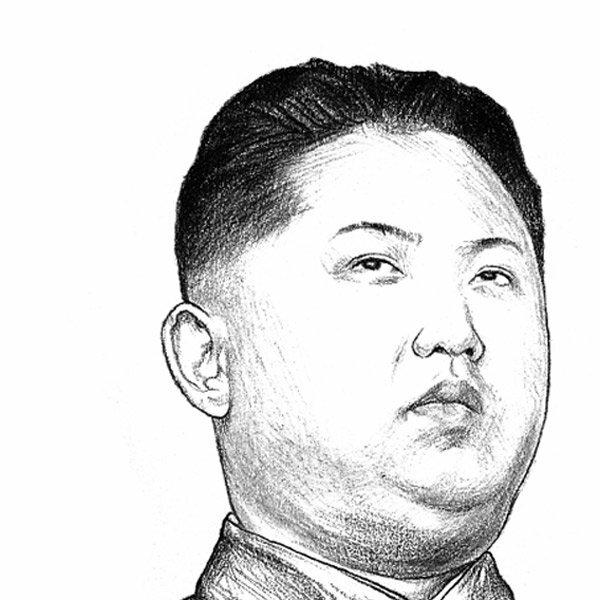 NK is as much as a threat to US as herpes is to Demented — Annoying but not life threatening. MEANWHILE, the stage is being set to wage war with Russia over alleged Russian cyberwar threats to our nuclear plants and the rest of the US power infrastructure. One nuke plant goes critical and It won’t be the CHINA syndrome…or is it? Russia most likely won’t have to sabotage any of our “peaceful reactors. Most were probably built with the same expertise and care as the recent pedestrian overpass bridge in Florida. What is it with Florida? Too much time in the sun has cooked the brain? Fixing a bridge with traffic flowing beneath is as bad an idea as arming teachers- one teacher already shot a student by accident. Will Floridians pay the hundreds of millions when a teacher shoots other students by mistake trying to kill an intruder? In a Bridge Too Far one learns when something depends on everything has to go right, Murphy’s Law proves otherwise. What everyone gets wrong about the North Korea Trump meeting: he is asking for political asylum. Now ít makes perfect sense.